Steps: Whose Side is He On Anyway? Joshua went up to him and asked, "Are you for us or for our enemies?" That one little word neither is what hitched me up. I'd never really paused on it before because I was so excited that Joshua had this encounter. But this time that word caused me to stop. See, so often when God shows up in the midst of our circumstances in a big way, we naturally assume he's on our side! He's here to fight on our behalf and take down our enemies--and he does fight for us! Yet look again at that passage. Whose side is he on? Neither. He's not on our side or our enemy's side...he just IS. He's the Great I Am, and his ultimate goal is for HIS success, not ours. 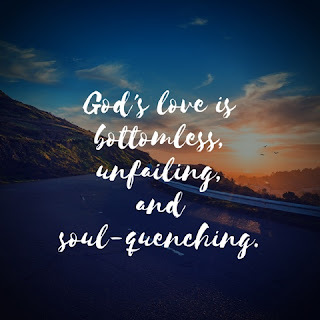 Saying that, however, doesn't diminish his love for us, because nothing can dim the light of his love--it's bottomless, unfailing, and soul-quenching. But at the end of the day it's not about his being on our side, it's about his glory being seen, and if we experience a success because of that then wonderful! But if we experience a set-back, then let's remember there's a much bigger picture than the tiny piece of it we see. God is our protector. He's our provider. He's our healer. He lights our way, gives us guidance, and delivers us from our enemies. But he is not our teammate. He's our Sovereign Father. He sees the beginning from the end and holds time in his hand. Let's trust him with whatever we're facing right now knowing that every success points to him and every set-back has a reason. Nothing is wasted with our God. Nothing. And he loves you so very much. Wow. What a perspective, Susan. Truth. Hard-hitting, straight-from-the-Word truth. Thanks so much for sharing.